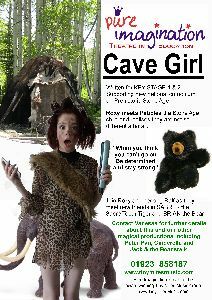 NEW SHOW - "CAVE GIRL" supporting the national curriculum on Prehistoric Stone Age. 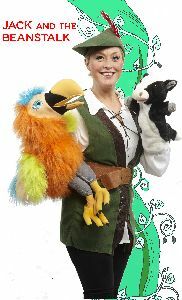 Fun facts with interactive, original songs and beautiful puppets provides an exciting and educational taste of what it was like to live as a stone age child. 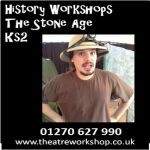 This fun, live show features Roxy, our ordinary girl who is whisked back in time by Sabre the tiger to face the realities of living in the Stone age. 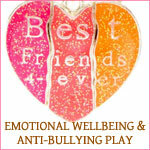 All our shows can include Art and Drama workshops. We specialise in pre-school, Key Stage 1 & 2 interactive musical plays which are full of songs, dance, drama and imagination. All material can be linked to Early Years Foundation Stage and Key Stage Learning 1 & 2. 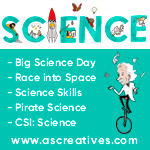 Perfect for Book Week, special occasions, Christmas, etc. 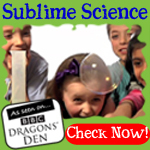 our PURE IMAGINATION Fairy Tale shows (inc. Cave Girl, Cinderella, Peter Pan, Jack and the Beanstalk, Snow White) are supportive of the National Curriculum’s telling of traditional tales. 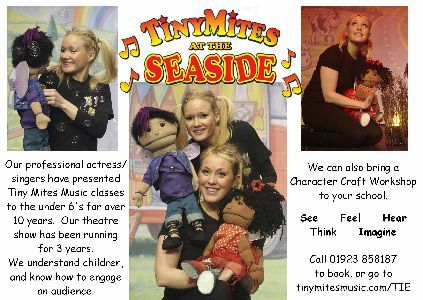 We also offer TINY MITES AT THE SEASIDE which is ideal for Reception to KS2, and our Christmas show SANTA CLAUS AND THE TINY MITES is a magical interactive adventure. Our website has more details, or call us to chat about your requirements.